Joao “Magic Man” Moreira looks set to make a sensational return to Hong Kong following his failure to secure a full-time Japan Racing Association licence. 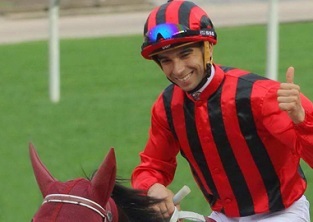 Moreira now looks poised to complete a return to Hong Kong after 10-time champion trainer John Size stated his intention to enter an application for the Brazilian to become his new stable jockey. Responding to reports of a possible collaboration, Size told the South China Morning Post: “That’s our intention, [but]the application hasn’t gone in yet. There’s a facility here where a trainer can apply for a retained rider, so there’s an opportunity there for that at the moment.